Want to know the #1 thing that helps me get stuff done in my business? …And the fact is, when you’re a coach and business owner, there’s a lot of stuff to do and it can get overwhelming, especially when you’re just starting out. For example, when I launched my full-time coaching business, I knew having a website was important, but I was dragging my feet for months. It wasn’t until I was unexpectedly invited to be a guest on a local TV news show, that I managed to get my website up… and surprisingly fast, at that! Here’s why… There was no way that I was going to be interviewed on TV about this emerging profession called coaching and not have my coaching website online and open for business. … but what it did was provide me with that external deadline and public accountability I needed to get my website done. 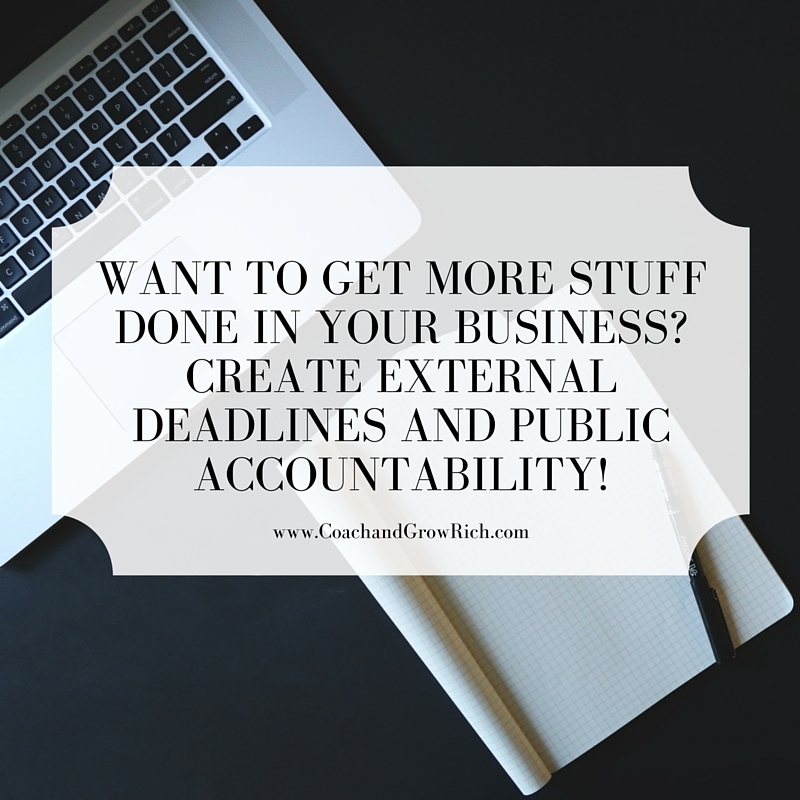 Do you see how having these types of external deadlines and commitments can really help ensure that you get stuff done? Of course there are lots of other tactics you can put in place as well. For example, I love using Basecamp as a project management tool and I find it really helpful when I block out time in my calendar to work on specific projects. I’m curious, do you also have that dreaded “procrastination gene” and if so, what are the strategies and tactics you use to get stuff done in your business? It feels a little vulnerable to share this with you, but I figured I’m not the only one who has the “procrastination gene” and who struggles to getting stuff done, so hopefully this is helpful for you.